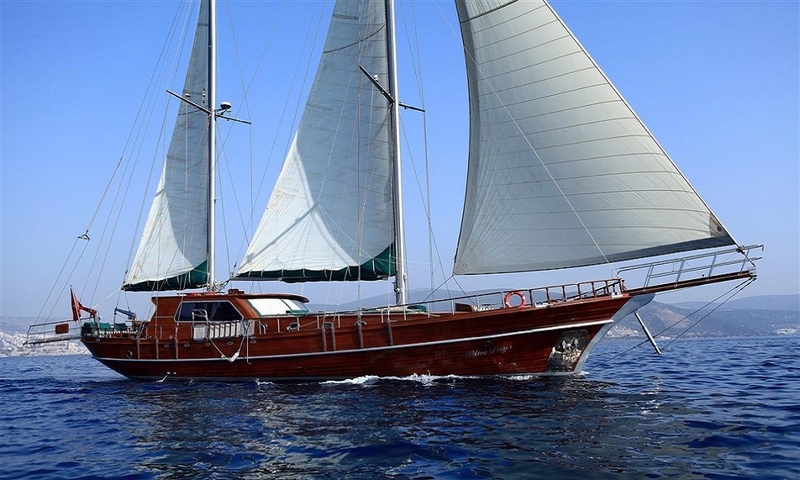 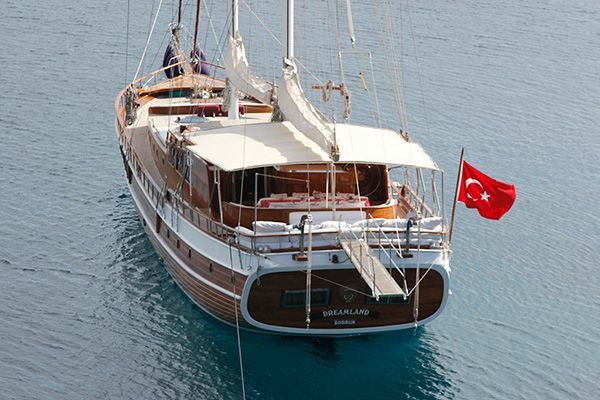 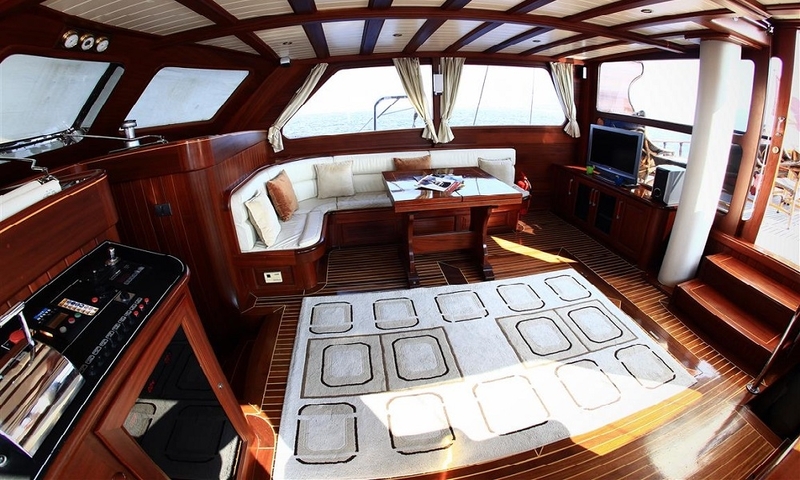 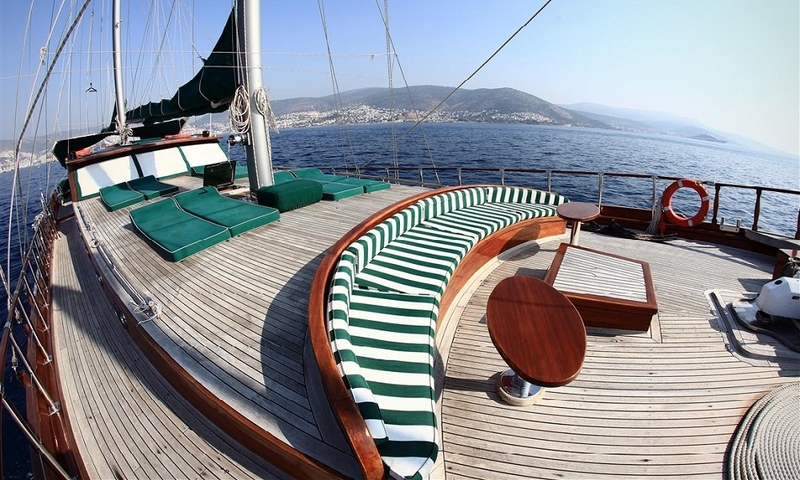 Luxury Gulet Blue Days, 24 meters 4 cabins charter gulet in Turkey. 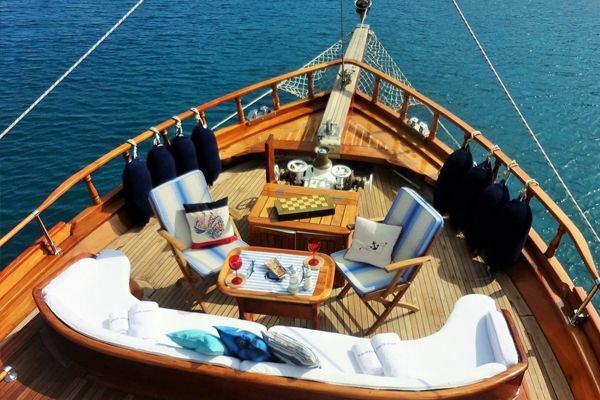 Luxury gulet Blue Days is a very sleek gleaming true gulet carrying many comforts within her 24 meter hull for up to eight fortunate guests. 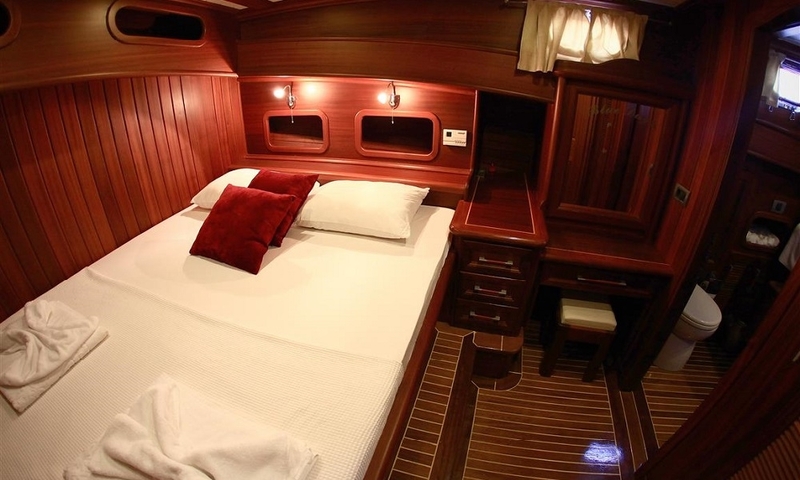 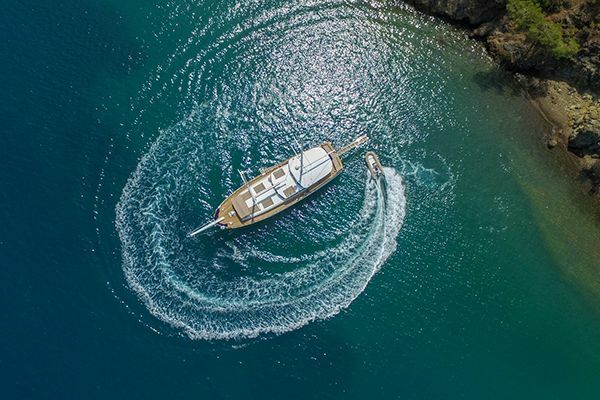 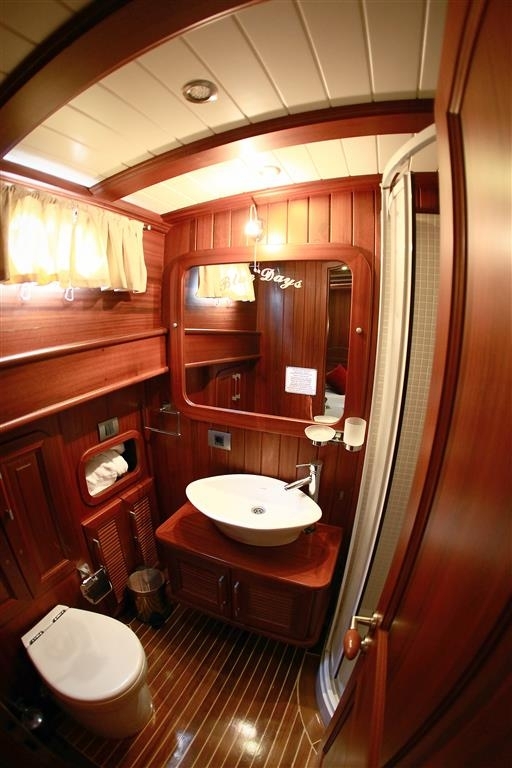 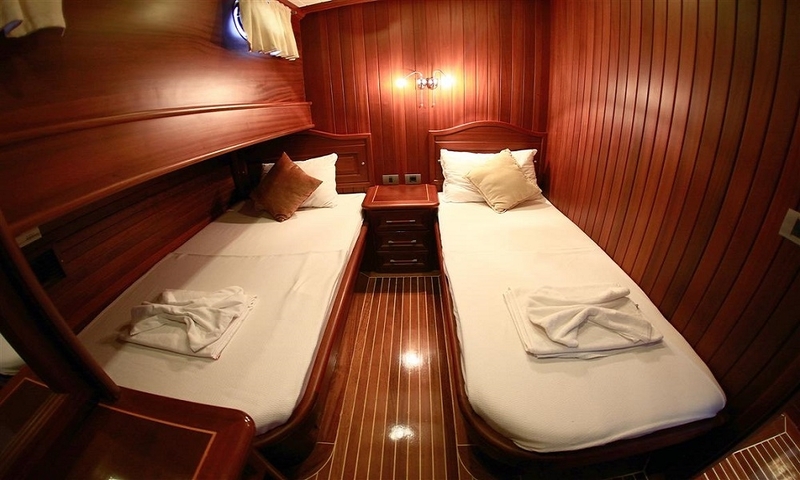 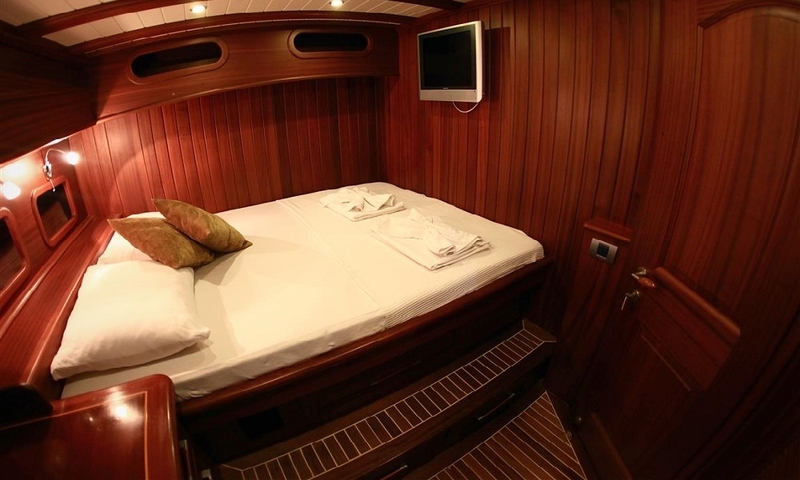 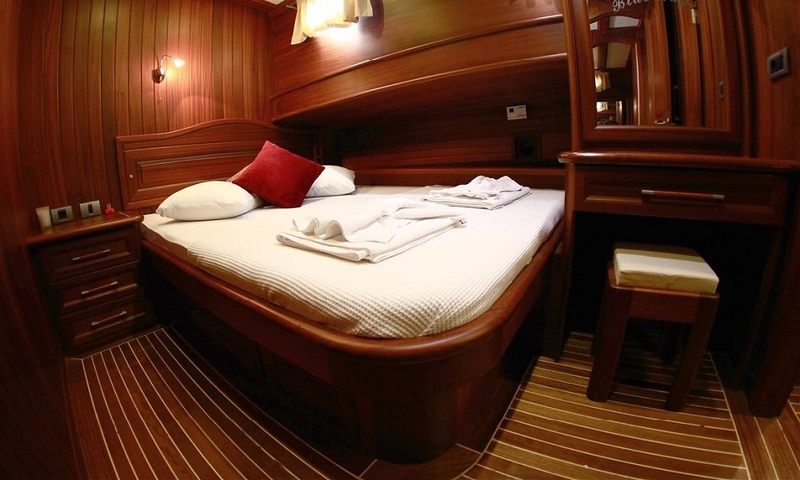 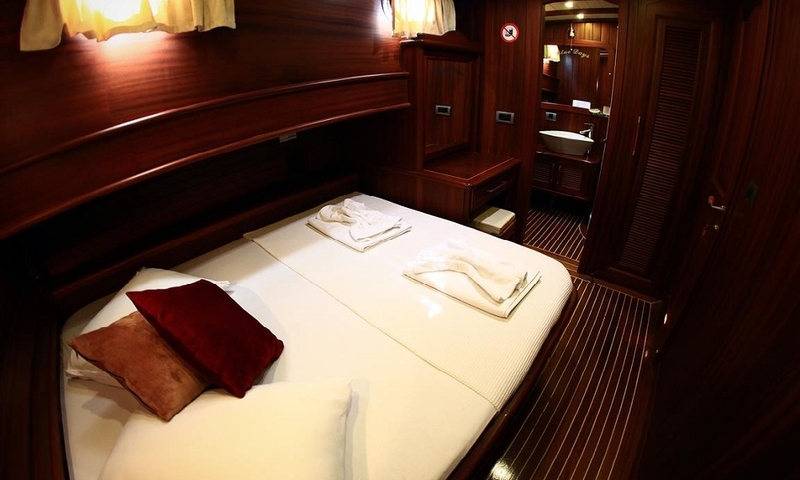 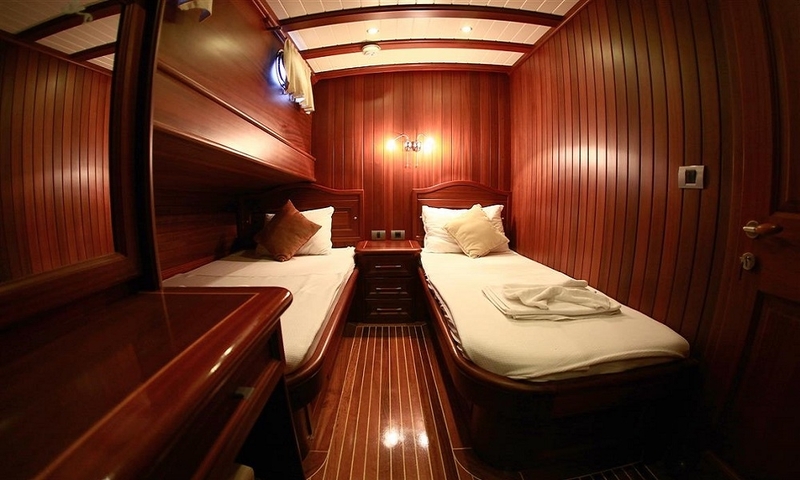 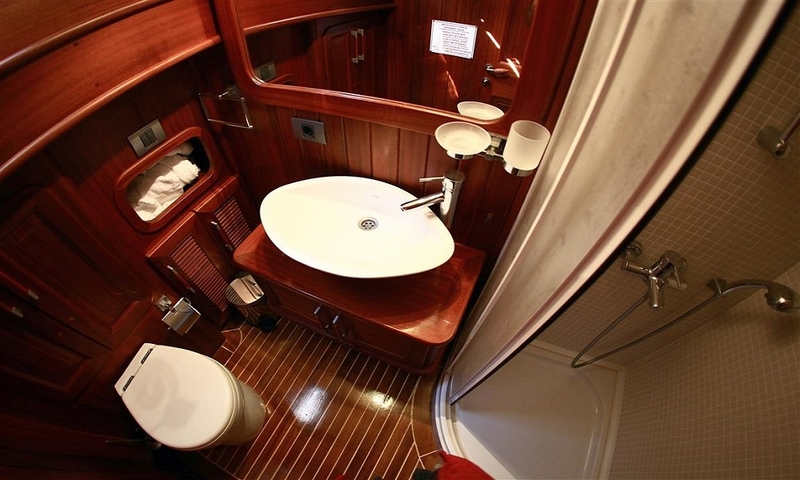 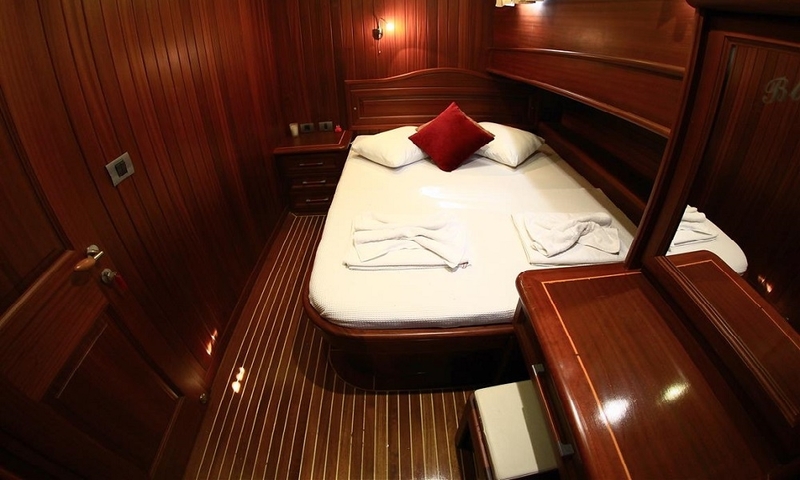 Her four stylish timber paneled cabins offer nautical ambience with air-conditioning, LCD TV in each cabin, storage, and well –appointed en suite bathrooms. 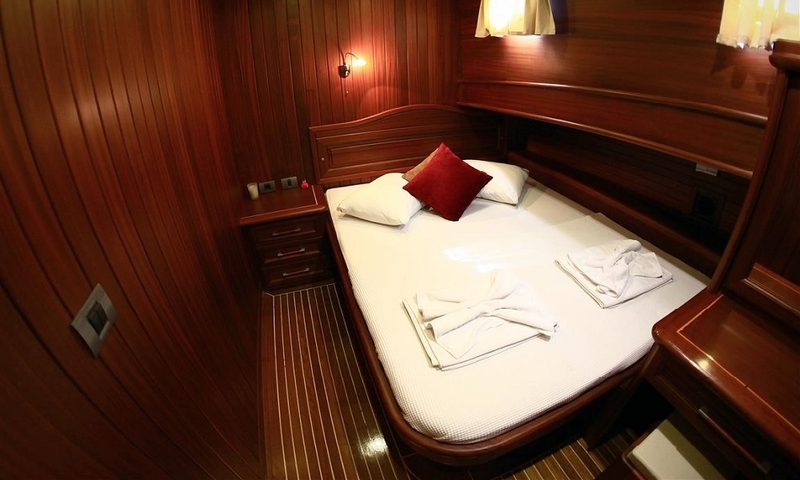 Three double bed cabins and one twin bed cabin also offer flexible accommodation to suit a family or a group of friends. 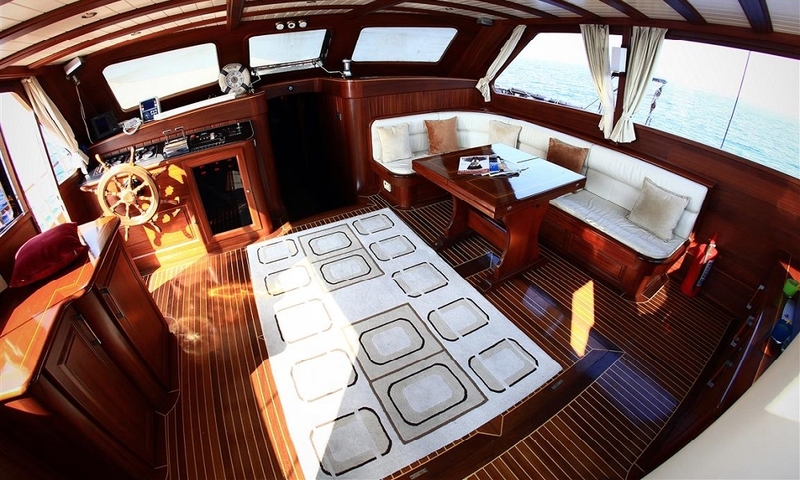 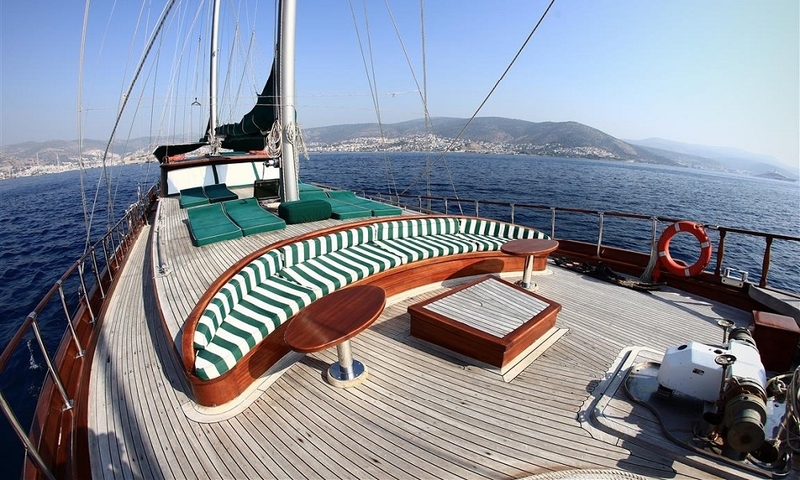 Modern equipment and fittings give her a contemporary style on the traditional Bodrum gulet build, so the large windows of the indoor saloon give great light to a comfortable space complete with a dining and couch nook and TV/DVD and air-conditioning. 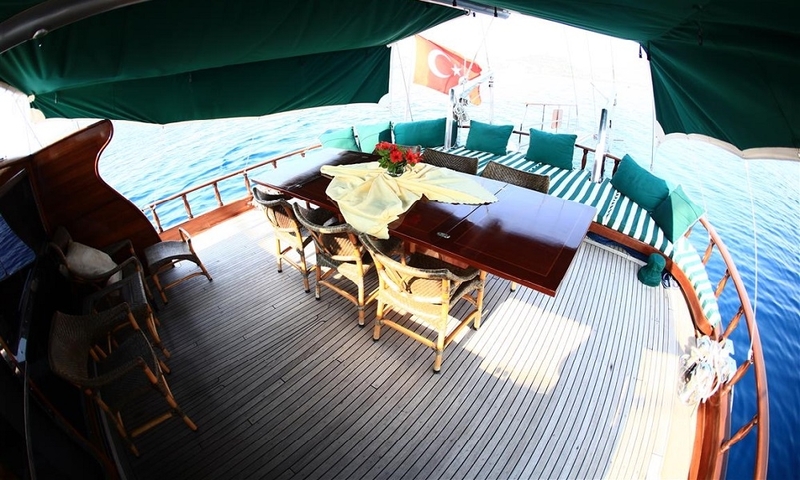 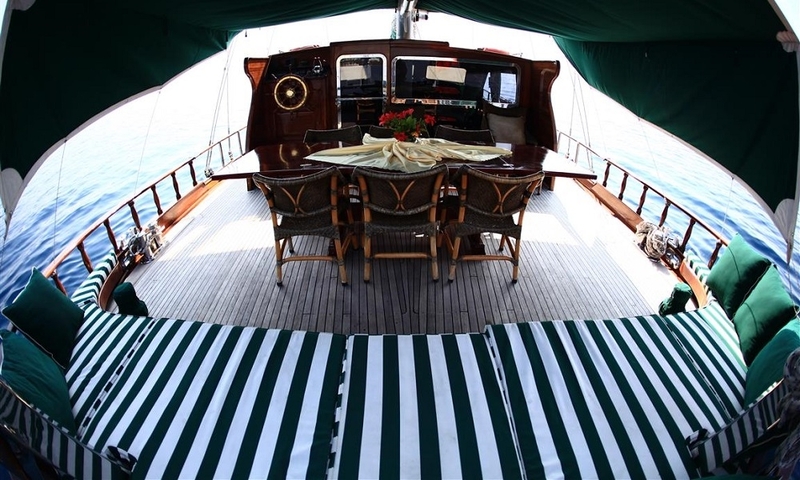 On her roomy decks all the classic zones of a gulet for relaxing are in place with the wide bank of cushions across the stern and the outdoor dining table on the aft deck, and the sunbed deck plus an extra the cushioned bow seat forward. 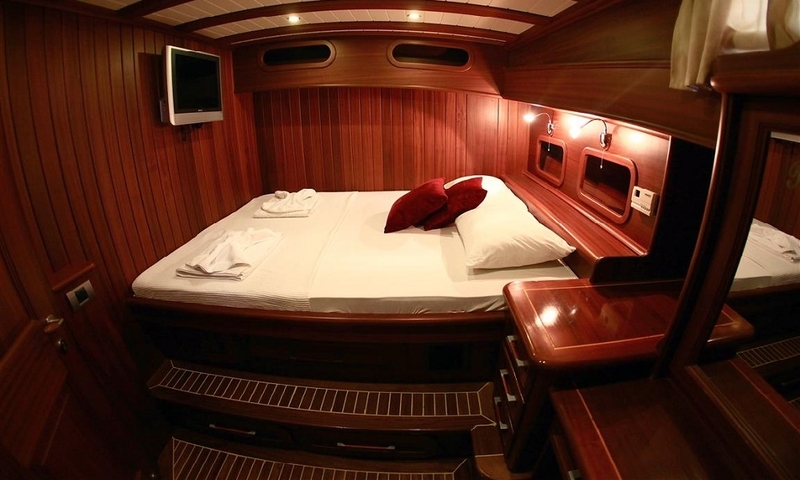 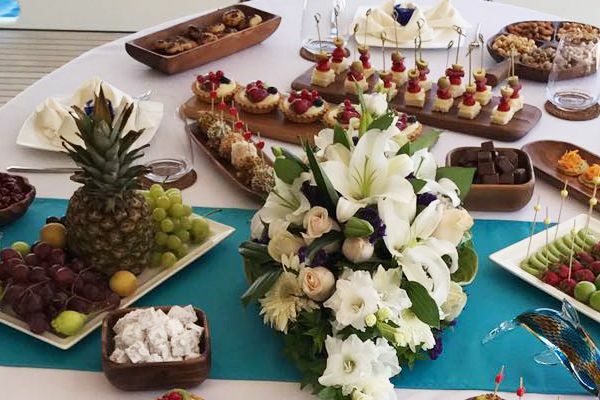 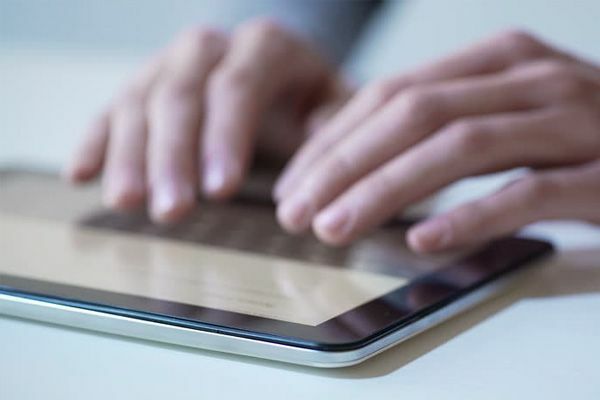 The professional crew keeps her in immaculate condition, and ensures the guests are always comfortable. 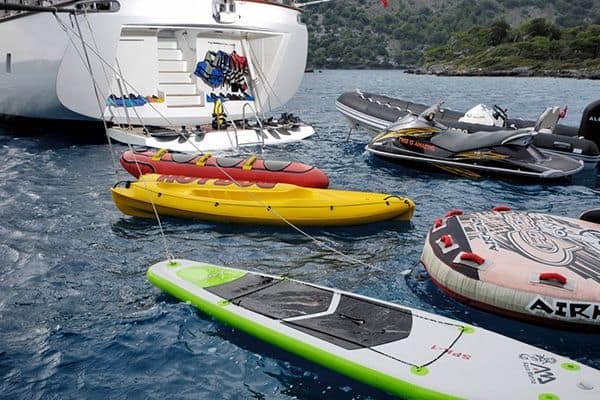 They like to put the sails up for a pleasant experience on an afternoon, and are always willing to help with activities such as play on the water sports toys, or explorations ashore. 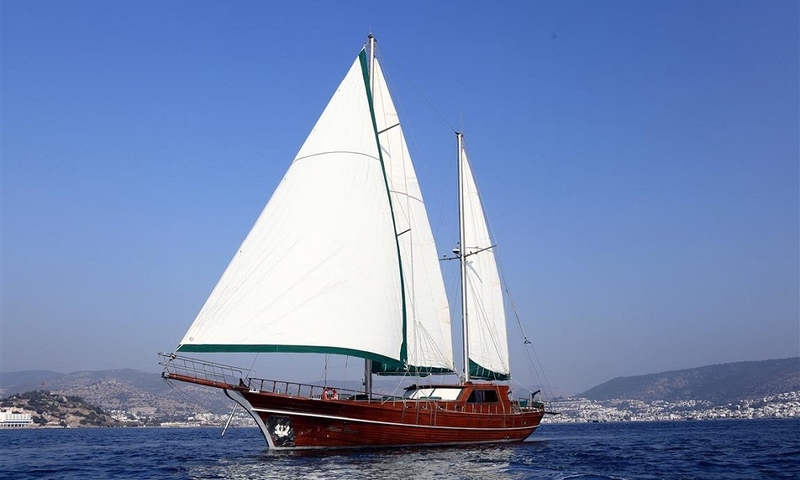 A luxury holiday cruise along the turquoise waters of the Aegean Turkish coast or into the nearby Greek Dodecanese Islands on gulet Blue Days will make for treasured memories.